2016 was another very solid year for fans of the Marvel Cinematic Universe. Captain America: Civil War delivered on the promise of its name and Doctor Strange managed to open an entirely new side of the Marvel Universe quite successfully. Now that the movies are out, that leaves fans looking ahead to the future of Marvel Phase 3, which includes Avengers: Infinity War. Updates on the movie have been fairly scarce, but it looks like we finally know when the movie is going to begin shooting. My Entertainment World recently updated some of their information on movies that will be shooting in the near future. One of those movies just so happened to be Avengers: Infinity War and according to their new information, shooting is just around the corner. It looks like the massive Marvel team-up will be rolling cameras starting January 23, 2017, with production locations listed as Atlanta, Georgia, and the U.K. Both Infinity War and the untitled Avengers 4 will be shooting back-to-back, with the production expected to last most of the year. So the January start date makes total sense, especially since directors Joe and Anthony Russo have been busy scouting for locations and doing pre-production for quite some time. The fact that Avengers: Infinity War will be shooting in both Atlanta and the U.K. isn't that surprising. Marvel has shot in both locations plenty of times and many big productions shoot in multiple locations. However, what is interesting is that Black Panther is also scheduled to start shooting at the same time in Atlanta, meaning that Marvel will have two massive productions going on at the same time. This could be for convenience, since Chadwick Boseman will likely be appearing in Avengers: Infinity War as well as Black Panther and other cast members could potentially shuffle back and forth. Still, that means Marvel Studios is definitely going to have their hands full starting next month. This new report does, at least slightly, contradict some of what we have heard previously. 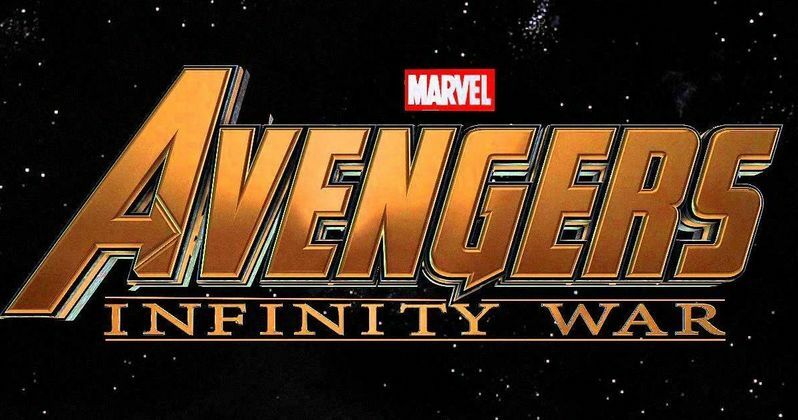 We reported last month that the Atlanta Filming Twitter account, which has reliably covered quite a few Marvel shoots in the past, claimed that Avengers: Infinity War had already started filming. The report from Atlanta Filming didn't make note of any specific actors on set, nor did it come with any photos, so it could have just been part of pre-production and this January start could be when the primary cast starts showing up to really get the ball rolling. On a movie this huge, it stands to reason that they would probably be prepping for months in advance, so it is possible they were filming some stuff for Avengers: Infinity War, perhaps set tests or things of that nature. Either way, it looks like things are going to be ramping up in the very near future. At the moment, we still know next to nothing about Avengers: Infinity War and the now untitled Avengers 4 aside from the fact that it will continue the conflict seen in Civil War. We know that Thanos is finally going to be getting the Infinity Gauntlet and Stones assembled, meaning that he is likely going to be on a universe leveling path of destruction. Beyond that, Marvel hasn't even confirmed which Avengers are going to appear, but we do at least know that Doctor Strange and the Guardians of the Galaxy are going to be in it. Once shooting starts, we will surely be learning a lot more. Avengers: Infinity War is scheduled to hit theaters on May 4, 2018, and Avengers 4 will come out a year later on May 3, 2019.